Deep Sea ID, is an iOS app field guide interface to the World Register of Deep-Sea Species (WoRDSS), which is a thematic database of the World Register of Marine Species (WoRMS). The App currently stores on your device (for offline access) the taxonomic information for over 24,000 deep-sea species, over 450 high-resolution photographs of deep-sea specimens as well as links to online taxonomic tools, sources and important references. A mammoth effort to catalogue all known ocean life is nearly complete. It has taken taxonomic experts eight years to pull together all existing databases and compile one super-definitive list, known as the World Register of Marine Species (WoRMS). Of the 419,000 species names recorded in the scientific literature, nearly half (190,400) have been shown to be duplicate entries. The app is designed to improve access to taxonomic information for researchers and contractors working at sea, in the field or in the laboratory as well as educators and science communicators who wish to learn more about the remarkable diversity of deep-sea life. One species of sea snail even had 113 different names. The WoRMS editors have now put the number of species known to science at 228,450. The vast majority - 86% or about 195,000 species - are animals. These include just over 18,000 species of fish described since the mid-1700s, more than 1,800 sea stars, 816 squids, 93 whales and dolphins and 8,900 clams and other bivalves. The remainder of the register is made up of kelp, seaweeds and other plants, bacteria, viruses, fungi and single-cell organisms. Although the definitive list has shrunk in the process of compiling WoRMS, the catalogue continues to grow rapidly. 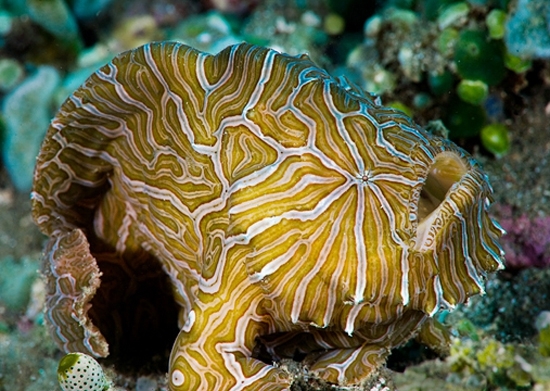 In 2014, 1,451 new-to-science marine creatures were added to the register. It is estimated another 10,000 or more new species are held in laboratories around the world just waiting to be described. Dr Jan Mees is from the Flanders Marine Institute (VLIZ) in Belgium, and a co-chair of WoRMS. He told BBC News: "The purpose of WoRMS was to create a master list of all organisms that have ever been observed and described in the world oceans. "This task is now near completion. All the historical data have been entered in the database; all the names that have become redundant over time have also been identified and documented. 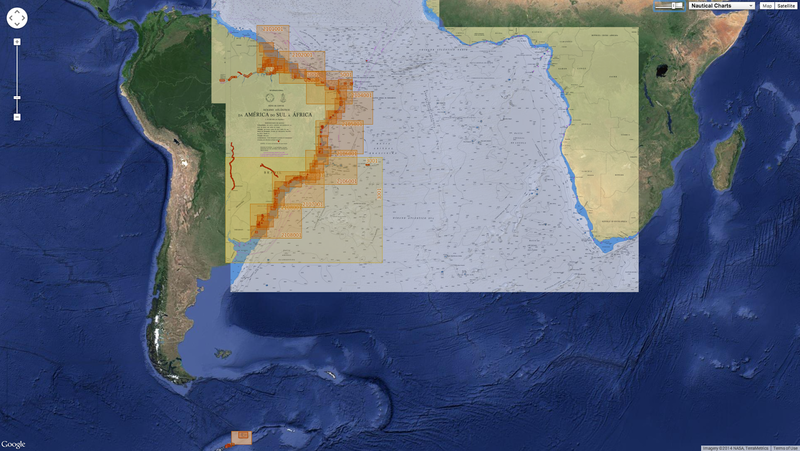 “And now we have a system in place that can be used as a backbone for data management activities and for marine biodiversity research; and that can be updated by a consortium of taxonomists." 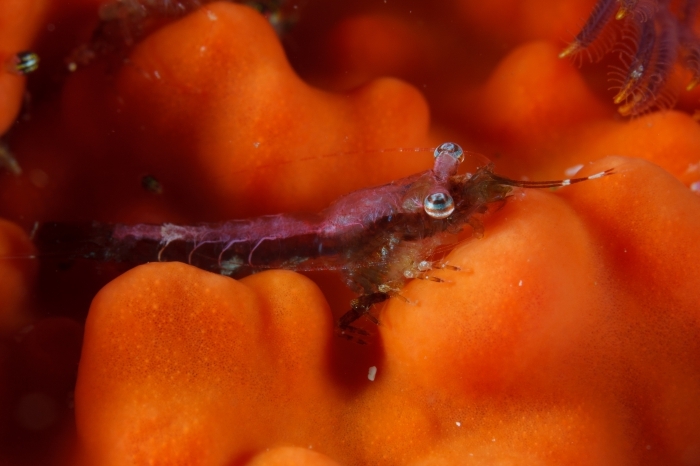 Asked to name his favourite species in the list, Dr Mees pointed to the “stargazing” shrimp (Mysidopsis zsilaveczi) in South Africa. It is so called because its eyes appear to be fixed in an upward-looking direction. “The pigment pattern of the eyes gives the impression that animal is constantly gazing skywards. It’s not; it’s just an effect. But it’s beautiful. Added just last month, for example: A new species of sea dragon, the ruby red Phyllopteryx dewysea from southern Australia, distinguished via DNA analysis from two other sea dragon species. 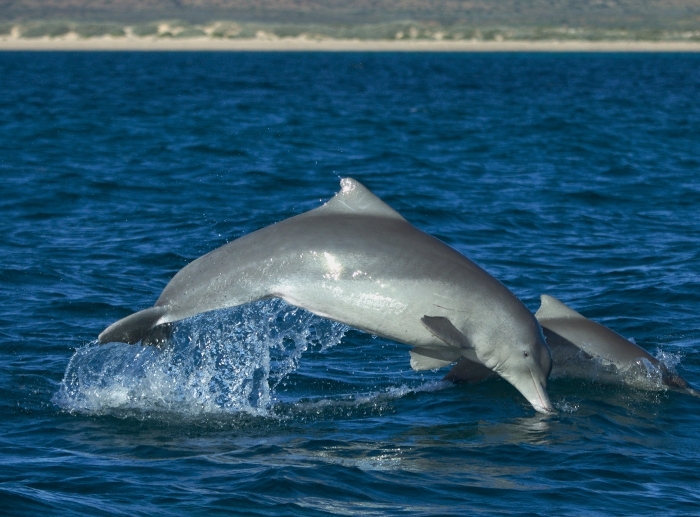 Other forms of ocean life described in 2014 include two dolphins and 139 new-to-science sponges. Some previously-discovered sponges have yielded valuable cancer-fighting agents. Studies foresee more than 200 oncology drugs derived from marine life compounds passing clinical trials - pharmaceuticals with an estimated value of at least US$560 billion. A new genus of animal (Dendrogramma, with two associated species (Dendrogramma enigmaticaDengrogramma discoides) does not readily fit into an existing phylum - the top classification in the animal kingdom. Further research will resolve the issue but could lead to the historic addition of a new life classification. Areospora rohanae: A new genus and species of parasite, first noticed by Chilean fisheries workers, that invades and causes lesions on the valuable King Crab. The taxonomist dubbed the little critter after his daughter. Yesterday, March 11th 2015, is a somber anniversary for the people of Japan: four years since the Great East Japan Earthquake struck, sparking a tsunami, claiming tens of thousands of lives, and beginning the worst nuclear disaster in a generation: the triple reactor core meltdowns and destroyed containment buildings at TEPCO's Fukushima Daiichi nuclear power plant. And, four years later, the nuclear crisis continues to unfold: both the environmental contamination and the ongoing human suffering caused by the disaster. Even Japan's Prime Minister Abe – an unabashed nuclear supporter who has been pushing for the restart of Japan's nuclear fleet – has taken a step back from his position of 2013 that the radioactive water crisis was "under control." When I think of the victims still living in difficult evacuation conditions, I don't think we can use the word 'settled', to describe the Fukushima plant". One of the plagues of the Fukushima site has been – and continues to be – a crisis of that most fundamental of elements, the very foundation for life on this planet: water. Water, contaminated with some of the most dangerous and long-lived man-made toxins ever created: radioactive elements like cesium, bone and brain-seeking, carcinogenic strontium-90, and 61 other radionuclides. As recently as 25 February, TEPCO admitted that highly radioactive water – 50 to 70 times more radioactive than the already high radioactivity levels previously seen onsite – had been leaking into the ocean for nearly a year. TEPCO chose not to disclose the leak until now. The fishermen's union declared this latest news a complete breach of trust between the utility and the local fisherman. And this, at a time when TEPCO has been seeking approval from the local fishermen's union to start dumping some 297,000 tons of "treated," radioactive tritium-contaminated water into the ocean. Just how big is TEPCO’s radioactive water problem? 320,000 tons – the amount of highly contaminated water as of December 2014 waiting in about 1000 massive tanks onsite for "treatment" to remove the 62 radioactive elements contaminating it – except for the radioactive hydrogen isotope, tritium. 300 tons – water per day sprayed into the reactor vessels to cool the molten reactor cores in Units 1-3: cores that no one actually knows the exact location of. 800 tons – the amount of groundwater migrating onsite every day. Of which, 300-400 tons becomes radioactively contaminated. 400 tons – the amount of highly radioactive water flowing into the Pacific Ocean every day – a figure that does not include this latest leak announced in February. 11,000 tons – the estimated amount of highly contaminated water sitting in trenches – which TEPCO has attempted to pump up for treatment with limited success. 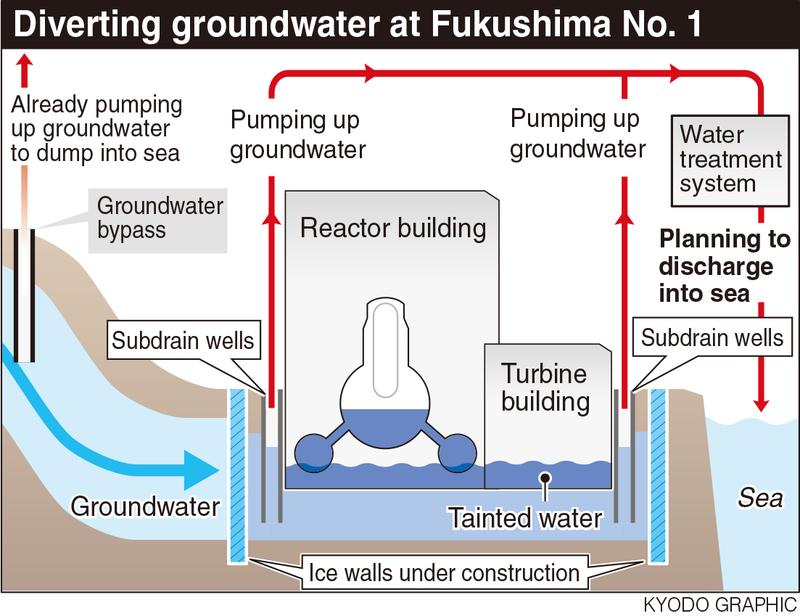 The crux of this is that, not only does the contamination continue to flow from the reactor site and into the environment, but the locating of the reactor cores and decommissioning of the site are themselves contingent upon controlling this onsite watery onslaught. 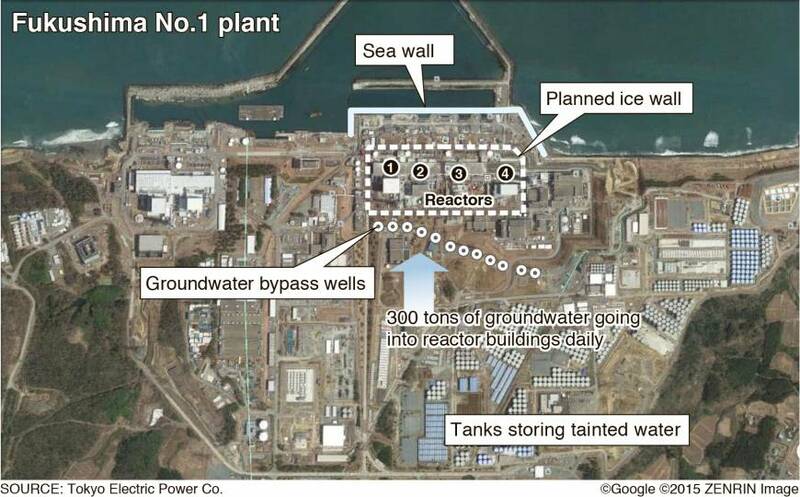 In an attempt to get a grip on the natural hydrology of the site, TEPCO has focused on two major projects: building a sea wall to control the massive radioactive leaks into the ocean and building an ice wall to reduce the amount of water flowing onsite every day. The efficacy of both projects raise significant doubts. Both projects are based on the assumption that 30 meters below the surface, the soil layers become impermeable rock, which would serve as a sort of natural floor, preventing water from moving beneath the walls. Unfortunately, independent geological surveys show that reactor site is built on the soil equivalent of a sponge – highly permeable sand and pumice stone – to a depth of 200 meters. Offsite, the situation in surrounding communities is tragically surreal. Decontamination efforts are generating a massive amount of radioactive waste. Official estimates of the storage volume required to house this mountain of radwaste are between 15 and 28 million cubic meters of waste, enough to fill 12 to 23 Tokyo Domes. In short, the decontamination efforts are not getting "rid" of the radioactive problem – they are simply moving it, and sometimes not very far. In places like the heavily contaminated city of Iitate, thousands of decontamination workers swarm over the site – many bent over a bit of curb or sidewalk scrubbing with a toothbrush – a poignant reminder of both the enormity of the problem and the deep losses for the community members who once lived here. Now, four years on, these are still nuclear ghost towns. And in spite of such valiant efforts on the part of the decontamination workers, the sheer magnitude of the problem seems to prevent real success. Greenpeace radiation experts have visited Fukushima 23 times – the first in the weeks immediately following the start of the disaster. In October 2014, Greenpeace monitoring results from Iitate (40km from Fukushima Daiichi), Fukushima city (60km), Miyakoji of Tamura city (20km) and Kawauchi village (20km) showed that efforts at decontamination were still failing to reduce contamination in many areas to meet the Japanese government’s long-term decontamination target level of 0.23micro Sv/h. In Kawauchi, part of which had its evacuation order lifted in October 2014, Greenpeace monitoring found 59% of our radiation measurements were over the target level and, again, with higher levels found away from the roads. But people cannot be expected to live full, meaningful lives in their former communities by being confined to clean "corridors" along the roads and walkways. This was once a heavily agricultural region. The loss of the land means the loss of an entire way of life and many former residents' entire livelihoods. Approximately 120,000 nuclear refugees are still living in temporary housing, their lives left in limbo: not enough compensation to establish a life somewhere else, and either not able to, or choosing not to return to their former homes. "Why would people come back here permanently to live?" asks Masami Yoshizawa, a farmer who refused to leave his cattle herd in Namie. "There is no infrastructure any more; no schools, shops or transport." And that is a question no one should ever have to ask – particularly not when the disaster is man-made. On this day, as we do every day, we remember the victims – many of whom are still suffering from this nuclear disaster. And we will continue to fight, with the majority of the people of Japan who oppose any nuclear restart, to ensure that the future is one which is safe, clean, and nuclear-free. Add your name to the petition today, to show the Japanese policy-makers and their industry allies, that we believe a #ZeroNuclear future is possible, for Japan and the world. Off the coast of California, a radical experiment has closed hundreds of miles of ocean to fishing. Will it lead to better catches for years to come? Here the dive master pantomimed an underwater pirouette. I tried and failed to imagine myself, a middle-aged New Yorker who’d never dived the California Pacific, doing the same. What had drawn me to peek under California’s waves was not a great love of scuba, but something radical that California was trying to do with its ocean. Over the past 15 years the state has upended nearly every aspect of its fisheries management. 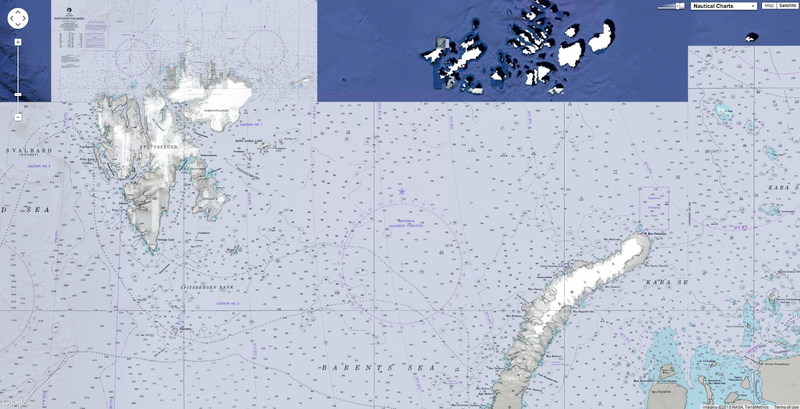 At the center of that effort is the creation of 124 marine protected areas, covering more than 850 square miles, where fishing is banned or severely curtailed. At a little more than 16 percent of California’s ocean holdings, this represents more protected water than that of any other state in the continental United States. What makes California’s experiment unique as well as controversial is more than its size, though: It’s the “network effect” its proponents think they can achieve. By creating an interconnected stretch of no-fishing and restricted-fishing areas up and down the coast, scientists and conservationists theorize they can weave back together the elements of an ecosystem that two centuries of exploitation has blown apart. My interest was personal as well. Since childhood, fishing has been my greatest passion. Whenever I’ve discovered a new piece of good-looking water, my default instinct has been to find out where the fish are living and go and get them. I have with hook and line killed many hundreds of fish. 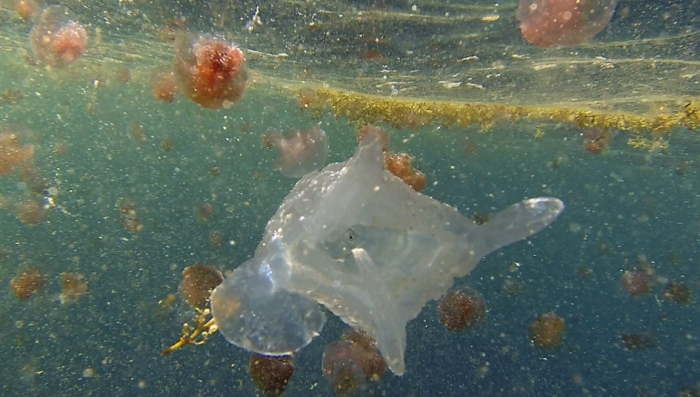 The problem is, this same base instinct guides much of the way humans behave toward marine life. Since the 1970s, the annual global catch has doubled to around 80 million metric tons — the equivalent of the weight of the human population of China. Now, as I started to explore a state that was taking a wholly new approach, I wondered whether California’s plans for its sea might affect my own relationship to fish. MONTEREY BAY IS the site of Lovers Point–Julia Platt Marine Reserve, formerly the Hopkins Marine Life Refuge, one of the places where California’s ocean-conservation movement began. The reserve came into being back when ocean ecology was a quaint idea and restricting fishing an absurdity. But when you dip below Monterey’s waves, fish aren’t the first thing to enter your head. Rather it’s the crushing cold water, which courses under your diving hood and floods downward. Struggling against the wet suit’s buoyancy, I slipped beneath the surface and caught up with the dive master. I dropped down another ten feet, and the temperature dropped another ten degrees. Cold coastal water is the defining characteristic of much of California’s seaside — in part the result of prevailing northern winds and the eastward turning of the earth. These forces drive warm surface water offshore, allowing an upwelling of nutrient-rich deep water in its place. This frigid, fertile stream, known as the California Current, once supported an integrated system of kelp forests, invertebrates, fish, and sea otters stretching from southern British Columbia to the southern tip of Baja California. But over the years, piece by piece, that system has been dismantled. It was the sea otters with all their wet-suit-shredding ferocity that were the first piece to be removed. The otter’s dense fur made it the state’s first export product, cloaking Chinese royalty for nearly a century. By 1850, the otters were all but exterminated. With the otters gone, the urchin and abalone population exploded and started devouring the kelp forest. This caused another California fishing boom and bust. Chinese émigrés discovered abalone all along the coast and began drying and shipping it back to their homeland until the abalone, too, declined. Other immigrant communities found their place in California by fishing, in particular Croatians, Italians, and other southern Europeans. Although demand grew for California fish through the 20th century, halibut, rockfish, lingcod, and other bottom-dwelling “groundfish” remained primarily local staples. 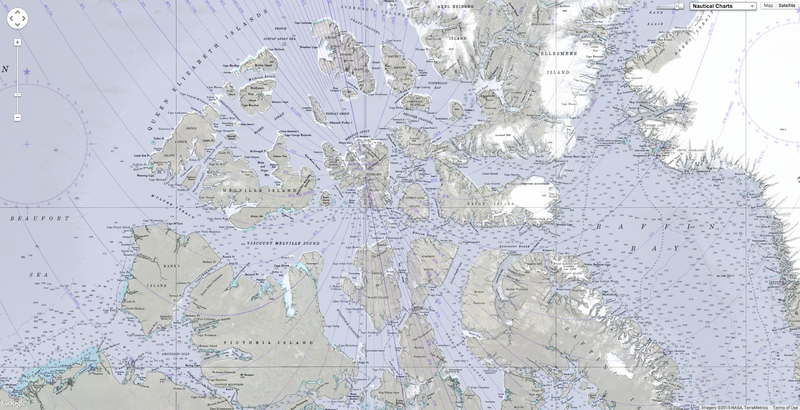 This small-scale dynamic was upset in 1983 when the federal government extended its ocean sovereignty out to 200 nautical miles and began an effort to expand the country’s commercial fishing fleet. Between 1976 and 1996 the number of large vessels in the U.S. increased by more than 70 percent to 28,870 boats. Making matters worse, fishing expanded without managers properly taking into account the natural fluctuations of the California Current. The eastern Pacific is governed by something called the Pacific Decadal Oscillation — a sun-driven cycle where ocean temperatures shift periodically from cold to extreme-cold regimes every few decades. These subtle changes affect the composition of ocean life. During the colder phases, plankton species shift and some fish struggle. Monterey’s sardine-dependent Cannery Row appears to have collapsed in part because of the end of a warmer regime in the mid-1940s. In the late 1990s, when the oscillation wobbled in the cold direction again, nine species of rockfish suffered particularly steep declines. 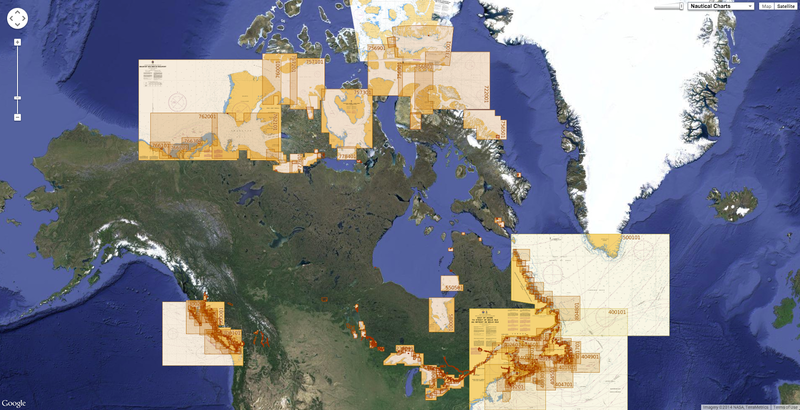 In 2000, the federal government declared the West Coast groundfish fishery an economic disaster. Soon after, the Monterey Bay Aquarium Seafood Watch program — perhaps the nation’s most influential arbiter on sustainable fish — placed many California species on its red “Avoid” list. But now in Monterey Bay, as I pushed my way into the kelp in a zone where fishing had been severely curtailed, I got a glimpse of what primeval California might once have looked like. This was not only because fishing had been limited, but also because the system’s missing pieces have started to slot themselves back in. In 1938, just after the completion of the Pacific Coast Highway, a remnant population of sea otters was discovered off Big Sur. That small group of animals was protected and gradually began working its way up the coast. When in 1962 the otters entered into Monterey Bay, they were welcomed by a new concept in ocean management: the Hopkins Marine Life Refuge, one of only two no-fishing areas in the country at the time. The otters cropped down the sea urchins and the abalone, and something of an intact ecosystem started to reemerge. Now as I parted the curtain of kelp, the full breadth of the system came at me with all its diversity. To my left a field of flower-like anemone waved and blossomed. Several copper rockfish came into view, their eyes twitching from side to side. Here and there lingcod skulked along the bottom, and little flutters of ocean perch slipped by and lingered around the kelp fronds. Up until now, I had only ever seen these fish on the end of a line. In various trips I’d made over the years out of San Pedro or Oxnard I’d hauled in dozens of them, pulling them up from extreme depth, fighting them hard until the fish hit the ten-fathom mark. At that point the pressure shifts caused their eyes to pop out of their sockets and their innards to swell into their mouths. The suffering creatures floated beatifically to the surface without resistance. Here, though, they swam and intermingled, coming together and bursting apart. To ensure that a sport-fishing boat doesn't exceed its limit, a tally of the days catch is kept. Tim Maricich called from the bridge of his boat, Donna Kathleen. Maricich put his engines to idle, hunched his lanky frame forward, and looked into a video monitor. The scientists stared intently into their own set of monitors. On the screen a part of the seafloor came into view that many had fished but few had seen. A remotely operated vehicle, or rov, was settling onto Portuguese Ledge, a marine protected area 3 miles west of the town of Monterey, on the edge of a Grand Canyon–deep ravine. The vehicle’s camera began a slow pan. Out of the miasma, several faces emerged, most of them belonging to different varieties of rockfish. Some of them were the kinds of protected species that had led to the closure of fishing grounds and put Tim Maricich out of business. There was enough light to make out differences of color and shape, but only barely. There is probably no better candidate for someone who should not want to collaborate with conservationists than the man who was in the wheelhouse. Hailing from three generations of Croatian fishermen, Maricich has fished up and down the California coast for more than 47 years. But when more than 150 square miles in the Channel Islands were closed as part of the state’s first marine reserve network, Maricich lost a swath of fishing grounds. He then retreated north to the edges of the Monterey Canyon, where he worked for a number of years until planners began identifying areas that might form part of a Central Coast network. To fishermen like Maricich, conservationists can be susceptible at times to a Manichaean view of the seas, something I’ve witnessed in my interactions with foundation-funded ocean-conservation organizations. Close fishing grounds, and the ocean will recover. Stop bottom trawling, and seafloor life will rebuild itself. But ocean ecosystems are a continually changing matrix of interlocking parts, one of which is commercial fishing. Fishermen who spend far more working hours on the water than scientists and who by nature are solitary and not always effective communicators often find themselves struck dumb in the face of the negotiations that stand to take away their livelihoods. “I said to myself, ‘I’m dead. I’m out of the fishery,’ ” Maricich recalled. He thought it might be time to get out of fishing altogether. The year before, the Nature Conservancy had initiated a program in Morro Bay to reduce the size of the fishing fleet in federal waters and was buying vessels. He approached the nonprofit Natural Resources Defense Council to see if they’d do the same for fishermen displaced by state closures. “Just buy me out,” Maricich said. The deck of a bottom trawler off Monterey. It was a particularly painful time for Maricich and for many other commercial fishermen, largely because they felt that they had already complied with so much regulatory upheaval. Just as California was carving out no-fishing reserves, federal fisheries managers, under pressure from nonprofits, were instituting a slew of restrictions in the nationally controlled waters. In 2001, the environmental group Oceana and several other organizations successfully sued to close “essential fish habitat” in federal waters up and down the coast. In 2002, the federal government instituted a coastwide Rockfish Conservation Area to the 40-fathom mark, which closed still more ocean. In 2004, the state significantly restricted the practice of bottom trawling, probably the most productive form of fishing, in which boats drag nets along the seafloor. Together, all of these different rules helped shrink the number of boats registered in California from a high of 8,427 vessels in 1981 to 2,818 in 2011. Nearing what for many would be retirement age, Maricich realized he had to find a place for himself within the new order. Maricich’s decision to throw in his lot with fish counters rather than catchers is in part economic, but it also stems from one truth that in a backdoor kind of way unites fishermen and conservationists: After all the closures and commissions, all the surveys and reappraisals, the ocean is still deeply mysterious. In the 1970s and 1980s, a profound knowledge deficit led to a policy of killing fish first and asking questions later. In the 2000s, the corrective — to close fishing grounds first and ask questions later — has been equally burdened by the problem of the vastness of the ocean. Which was why the research Tim Maricich has been doing with the Nature Conservancy over the past three years is so important. It suggests that the regulatory overhaul and the federal and state closures are working. “We’re pretty consistently finding species like the yelloweye rockfish, which are deemed overfished,” the Nature Conservancy’s Mary Gleason told me. WHEN I TAKE stock of my life as a fisherman, the particular species that torments me is Atlantic cod. Back in the early 2000s, I began making an annual winter cod trip to Gloucester, Massachusetts. In spite of all I’d read about codfish heading toward extirpation, I nearly always ended up with good-size brown-and-yellow-speckled cod whenever I’d drop a line to the bottom. But as the years went by I began to notice that the codfish started getting progressively smaller and that the sport-fishing fleet was converging on an ever-diminishing area. The oceans still seemed full of fish, but in fact the codfish range was shrinking and the population was making something of a last stand. This continual forgetting and recalibration compels fishermen to forever move on to new grounds. 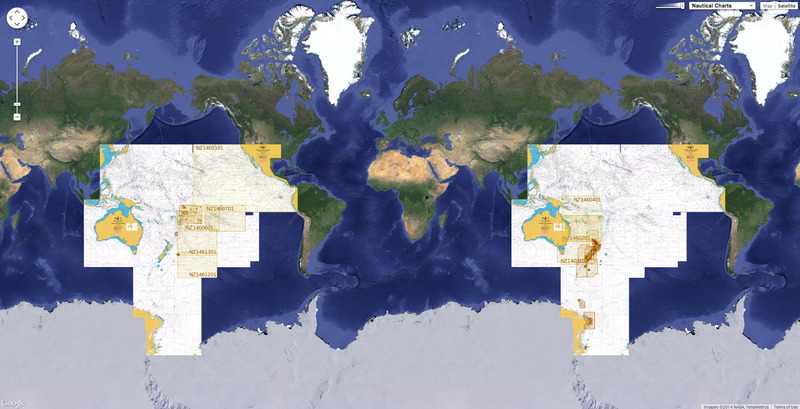 Marine protected areas are the flip side of this constant expansion. By closing areas to fishing, we establish a baseline against which all our deductions can be finally measured. As I started thinking more and more about the possibility of not fishing, I decided to visit the Channel Islands marine reserve network. It comprises the first group of no-fish areas created in California and has the most data available for analysis in the post-sanctuary era. Since 2003, around a quarter of the water around the Channels has been closed to fishing. Now, more than a decade later, I wanted to see if shutting down that much ocean could have the effect that scientists hoped it would. Just before dawn, I boarded the Cobra in the town of Oxnard. In former times I might have fished off Laguna Beach or Marina del Rey. But now with reserves blocking much of the grounds to the south, Oxnard was my port of last resort. Other fishermen had the same idea. A small armada took shape in the penumbra when we reached the fringe of a kelp forest a little ways outside of a marine reserve near Anacapa Island. As the Cobra slowed to prepare for a first drift, I grabbed a live squid in the bait well. After hooking it through, I flipped it out and cringed as it almost dropped into the cockpit of a sleek private yacht cutting us off stern-side. Closing areas to fishing doesn’t necessarily reduce the amount of fishing that goes on. In fact, it may crowd more and more fishermen into a smaller space. 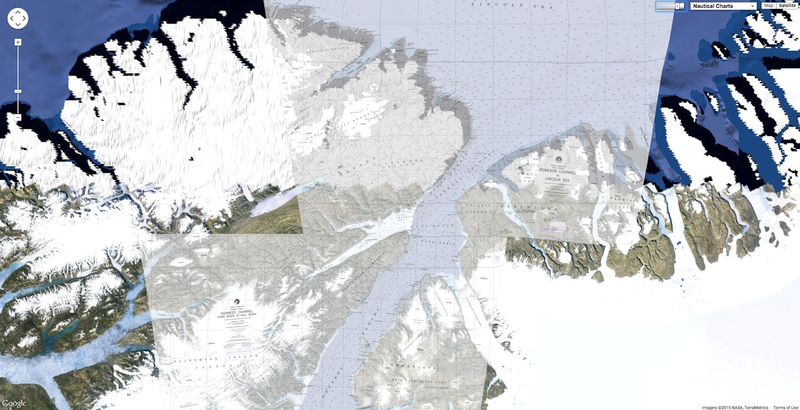 This displacement effect, some theorize, could possibly cause a net loss of fish if you were to take into account areas both inside and outside the reserves. Amid the crowding of boats off Anacapa, it was easy to think that something like that was happening. When the networks were designed, the long-term growth of the fish population was of greater concern than the crowding of fishermen. A decade later, the first comprehensive results are starting to emerge from scuba surveys. Jenn Caselle, a research biologist also from the University of California at Santa Barbara, has logged thousands of dive hours in the same cold water and kelp I experienced in Monterey. All those extra boats that were wedged against the Cobra were apparently not doing as much damage as one would expect. Indeed, the fishing I experienced off Anacapa showed no sign of diminished returns. Once we’d cleared the stern of the private yacht and I flipped my squid through a pile of kelp, line started peeling off my reel. I leaned back and set the hook. Five minutes later, what I thought of as an impressive fish — a nearly 3-foot-long lilac-and-silver white sea bass — came to the gaff and hit the deck with a thud. I was certain my fish was going to win the jackpot, the pool of money anglers contribute to at the beginning of the day that is awarded for the biggest catch. Evidence like Caselle’s isn’t good enough for some critics. Ray Hilborn, a professor of aquatic and fisheries science at the University of Washington who’s frequently cited by fishermen as a counterweight to the “enviros,” claims there’s no evidence that the sanctuaries are having a comprehensive effect. Hilborn had taken part in the establishment of California marine reserves and found the science guidelines lacking in academic rigor. But Caselle argues that a control for an experiment the size of the Channel Islands network is an impossibility. “The hypothesis is that the total effect of a network is greater than the sum of its parts,” she says. In other words, the entire California approach to linking its fragmented coast is a leap of faith. A leap of faith where the default is not fishing instead of fishing. My “big” 30-inch white sea bass was soon trumped by another white sea bass a good 6 inches longer. Then came a bigger one. And an even bigger one. And finally a fish so big that my posing for a group photo with the other anglers and their fish at day’s end was an embarrassment. For good measure, just as we were gearing up to head home, the captain eased the Cobra right up to the edge of the reserve, which caused an angler in the stern to shriek. She had hooked a halibut the size of a radial tire. Perched on equipment that provides a live feed from an underwater rover, Elsa watches over Tim Maricich's wheelhouse. Were all these fish the result of the reserve? Or was it just a good day, as can happen, even when there aren’t that many fish around? It cannot yet be scientifically documented. Since many fish that are specifically protected by the reserves, like rockfish, can live many dozens of years, it may be a long time until we know the extent to which reserves populate other fishing grounds. By the end of the day, when the mate cleaned our catch and the dozen-odd fishermen aboard the Cobra all had a bag or two of fillets to show, there seemed to be a grudging feeling that the Channel Islands experiment had shifted something. This thought stayed with me as I made my way to the airport. After boarding a plane I checked my phone before shutting it down for the trip back east. Atop the headlines was the news that the National Oceanic and Atmospheric Administration had closed the entirety of the East Coast from Provincetown, Massachusetts, to the Canadian border to both commercial and sport cod fishing — at least until May, in an effort to reverse declining fish populations in the Gulf of Maine. These were grounds I’d helped deplete over the past decade. After the latest stock assessment it was revealed that cod had dipped to an even lower level than had previously been assumed. The remaining stocks from Cape Cod to the Gulf of Maine, a population upon which colonial New England built its economy, were now reported to be between 3 and 4 percent of what would be required to have a sustainable fishery. As I considered this news, I thought how the fishermen of California might have avoided a similar fate. The Monterey Bay Aquarium’s Seafood Watch program recently surveyed the range of fisheries off California and moved many of the state’s groundfish species off its red “Avoid” list. In the decades ahead, commercial fishermen might enjoy rebuilt runs of rockfish and lingcod, surging runs of white sea bass and squid, all of them dashing through the regrown kelp in pursuit of sardines and anchovies that are also, apparently, on the rebound. With the spring migrations coming on, the usual time I’d head to Gloucester for cod, I thought about what I might do instead. Was there something else I could fish? Maybe mackerel would swing through our waters as they once did in my youth but now only do on occasion. Maybe the blackfish would make an appearance if they hadn’t been hit too hard by lobstermen whose Long Island Sound lobster had grown scarce. Or maybe I’ll just hang it up and not fish at all this season. Stan Honey, Chuck Hawley, and the Rear Admiral Chris Oxenbould clearly put some prodigious brain power and a massive amount of time into the just-released Independent Report Into The Stranding Of Vestas Wind. It’s a spectacular resource on its own, but it also puts to bed the months of speculation about what really caused the wreck of TVW. Wouter gets the biggest hit for failing to zoom in on the right computer, while Nicho takes heat for communication and pre-race preparation issues. 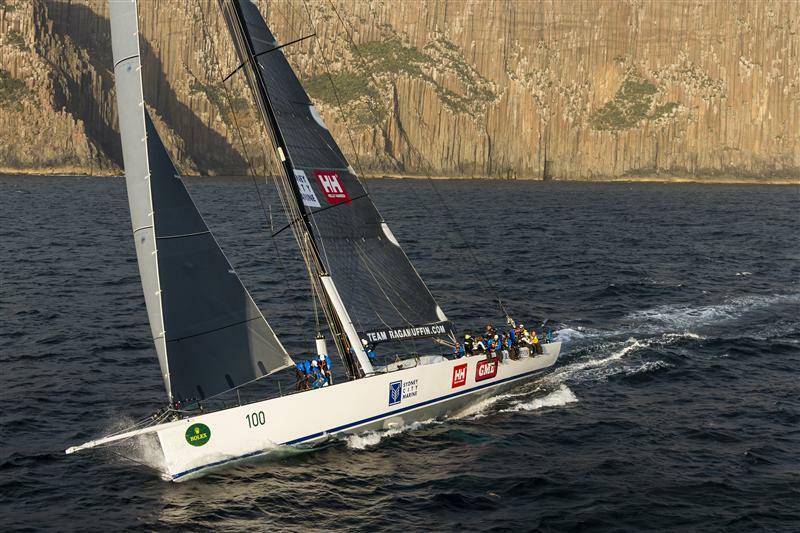 There were deficiencies in the use of electronic charts and other navigational data onboard Vestas Wind. 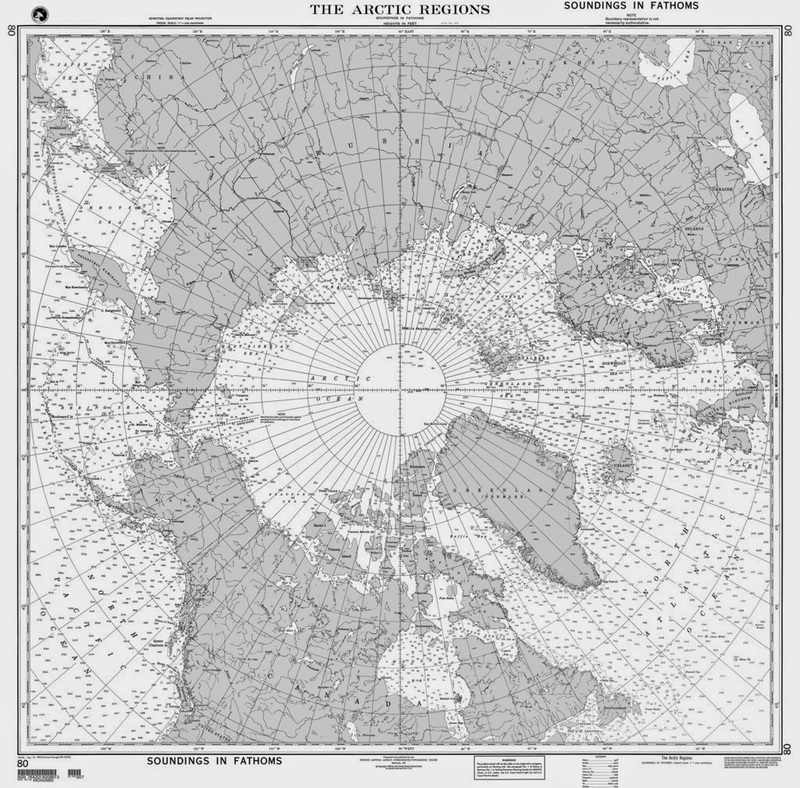 There were also deficiencies in the cartography presenting the navigational dangers on the small and medium scales of the chart system in use. This is basically a pre-flight checklist from the world’s top navigator, and it starts on Page 73.